Semmens Funerals, our family owned and operated company which began in 1999, is dedicated to helping your family in their time of need. Col, Pal & Brad Semmens and their friendly staff are committed to providing a professional, dignified and caring funeral service for the people of Gippsland. Funerals aren’t only a time for grieving and remembering a loved one, but it can be a time of celebration. Those planning a funeral will be faced with many choices and decisions regarding the funeral service. Our role as funeral directors is vital and we at Semmens Funerals are there to assist you during this important and difficult time. We make ourselves available 24 hours a day - 7 days a week. Since 1979, Col Semmens has been assisting families during these times - understanding that everyone and every family is unique, have their own beliefs and values and that no two funerals will be the same. Together with our experience, special touch of warmth and personal care, we have built a reputation of professional funeral service. 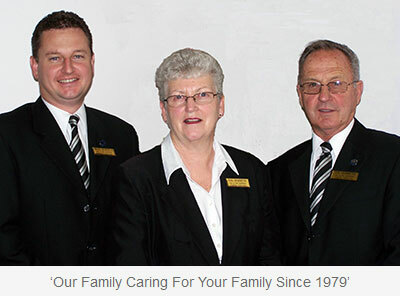 As members of the Australian Funeral Directors Association we are bound by a Code of Ethics and Practice, reassuring client families of professional service and care.